A trip to the Big Apple doesn’t have to have to come at a great expense. If you know NYC then you'll know that hotels are a fortune inside the city. Try apartment rentals which can often save loads on accommodation costs especially if you plan to be there longer than a week. There are also a surprising amount of options out there for fun things to do that don’t cost a thing, from cultural excursions to museums and art galleries, to water sports and dancing lessons. Save yourself the terror of checking your bank statement back at home with cheap flights to New York and these ten great free attractions. So you want to see the Statue of Liberty, but not at extortionate ferry tour prices. Amazingly, the Staten Island Ferry, which transports passengers between Staten Island and Manhattan, does not cost a penny. 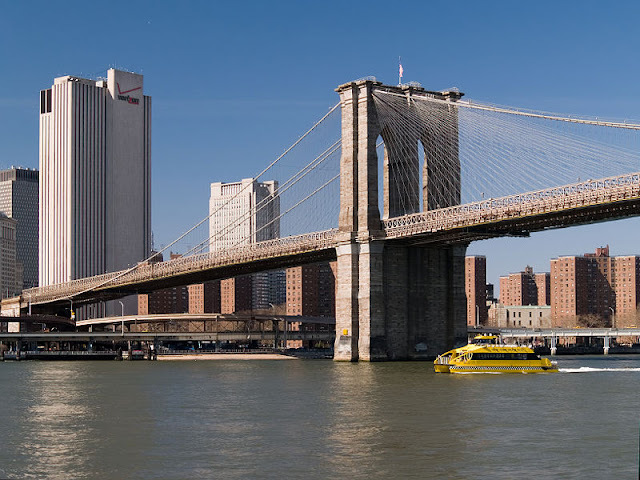 It’s intended for commuters but there’s no reason that visitors can’t hop on, and the 25 minute journey includes great views of the Statue, New York Harbour and Ellis Island. At the Downtown Boathouse, Pier 96, you can hire kayaks to explore the harbour completely free. Hardworking local volunteers make this experience possible, and it works on a first-come, first-served basis so early morning is the best time to get there. 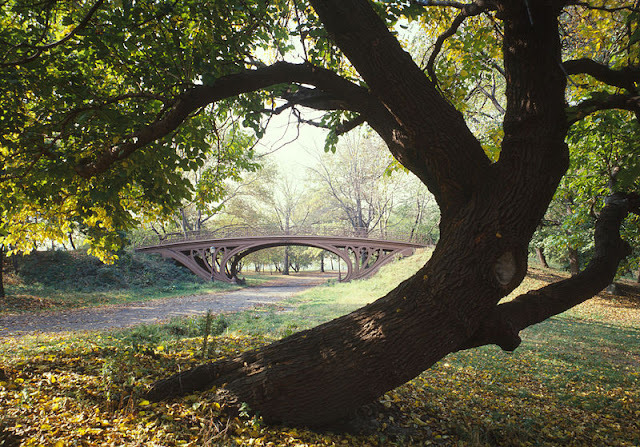 The iconic Central Park is often a hub of activity in the city, and is a great place to go for free events and performances. You can enjoy hiking, playgrounds, monuments, and more all for free! Definitely one of the city’s best free attractions, the New York Public Library is so fancy it’s difficult to stay focused on your book. Almost 53 million items are housed in the enormous marble building, including an exhibition featuring a Gutenberg Bible and original copy of the Declaration of Independence. There’s also a fantastic collection of maps, dating back as far as the 1500s. Come along to the Latin club SOB’S in west SoHo on Friday before 7pm, and get your groove on for a free salsa lesson. One proviso: you have to be female (men are charged $10). From the late seventeenth to the late eighteenth century, African slaves were buried in Lower Manhattan. The burial ground, containing the remains of over 400 people, was discovered in 1991 during construction work. Today the site is a national monument, and the visitor centre, built in 2010, explores the history of Africans in New York. 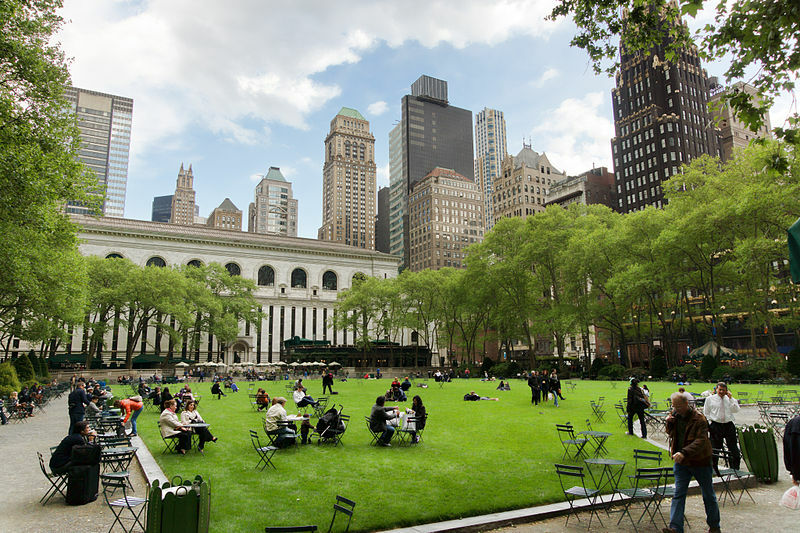 Head to Bryant Park during the summer, where films have been shown for free since 1992. Bring a picnic along and make sure you get there early to get a good spot. Some great performers can be found in New York’s subway stations. The best will be at the busiest stops, as there’s a committee which keeps a close eye on the standard. Gathering crowds usually means a performance will be starting within a few minutes. Foodie heaven: on Mondays, Wednesdays, Fridays and Saturdays farmers at the Union Square greenmarket give out free samples of their produce. Lots of New York’s museums and galleries are free on Friday evenings, including the Museum of Modern Art, Museum of the Moving Image and New York Historical Society. Katherine likes to a get a feel for the history of the places she visits, and seeks out the bits which reveal something about the culture in different areas of the globe. She has travelled in four different continents and is looking forward to exploring the rest. Well that’s a great list of things to do in a wonderful place. I have to note it down these places, then for my next vacation I can prefer to visit. An awesome article about newyork. In this world, its hard to find free things that we can do in a city. Whenever i get in to those places in newyork, i will recollect your article at that moment. I am so excited reading this post as my first trip to the Big Apple is due next month. I am just trawling the web finding out as much info about it as I can. Useful article, particularly a fan of free stuff! We are too! In the US in particular the free things seem to be fewer and fewer. These should be more than just 10, but these ones are really good to consider. Yes its true New York is special place to hang around.